This is a topic that pops up every few weeks and I have written a short update here to a previous blog regarding passenger seatbelts for horseboxes (current legislation). The original blog was following on from a conversation with a customer who had been fined for carrying two children in a horsebox living area without seatbelts. It is a topic worthy of a little explanation and especially so for families. We have been asked many times whether we can fit seatbelts to existing horsebox seating and unfortunately the answer has to be no. The reason is that the full seat including belts, mounting frame, anchor points and bolts all need certification to be legal. For a few horseboxes there is a possible solution, however, it is an expensive option that few owners would pick. In essence it entails stripping the complete seating area and fitting certified seating. Usually the water heater, space heater and auxiliary battery system has to be relocated. The seating must face forwards or backwards and never sideways. Pricing can vary wildly depending on the construction of the horsebox and the layout of the existing seating. For customers with two single cab seats, we can usually offer the option of a double passenger seat in the cab. This is a neat, cost effective solution to legally add one more passenger. 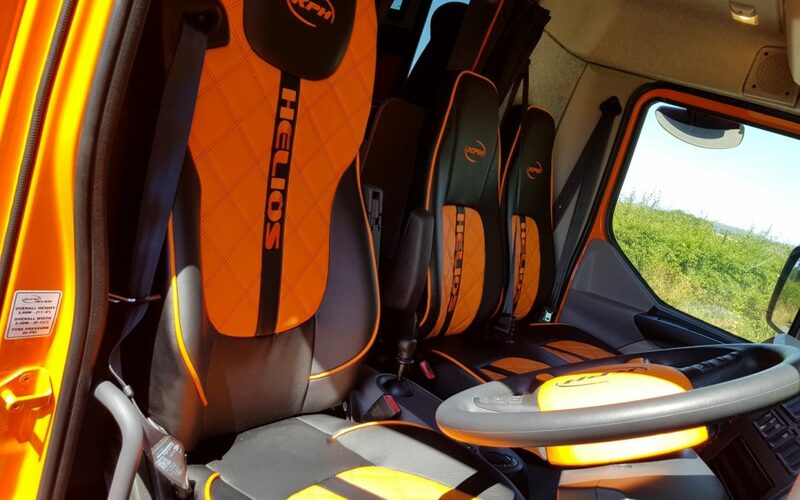 Unfortunately for customers who need two or three extra seats with seatbelts, the cost alone is prohibitive and would add little or no value to the horsebox. For many customers it may prove more cost effective to consider a bespoke build designed around the people who need seating and seatbelts. Before October 2007 seats in the living area of a horsebox, did not need seatbelts and it was quite legal to carry unrestrained passengers whilst in transit, as long as the horsebox was not overweight and had access from the cab to the living area. EU Directive 2005/40/EC on the fitting of seatbelts states that from 20 October 2007 new vehicles have to have seatbelts fitted on all seats except those seats intended solely for use when the vehicle is stationary. There is specific legislation relating to the carrying of children onboard goods vehicles and by law, children must wear the correct restraint whilst the horsebox is in transit. Up to 3 years old children cannot therefore travel in a horsebox without seatbelts. New legislation to the seatbelt wearing directive in May 2009 prevents more passengers being carried than there are seatbelts for in the living area.